Disclosure: I was sent Health Warrior Chia Bars to review. 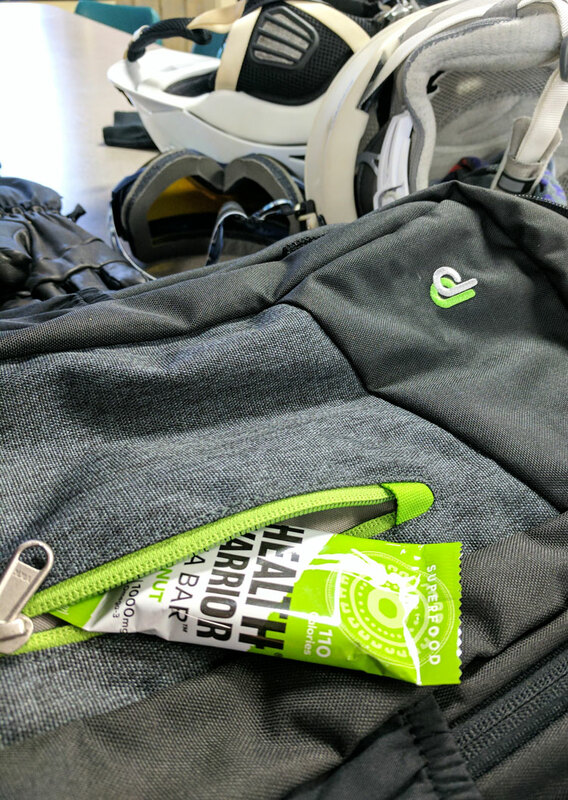 Have you ever tried Health Warrior Bars? The Health Warrior Chia Bars come in a selection of flavors like: Dark Chocolate, Acai Berry, Mango, and Apple Cinnamon. 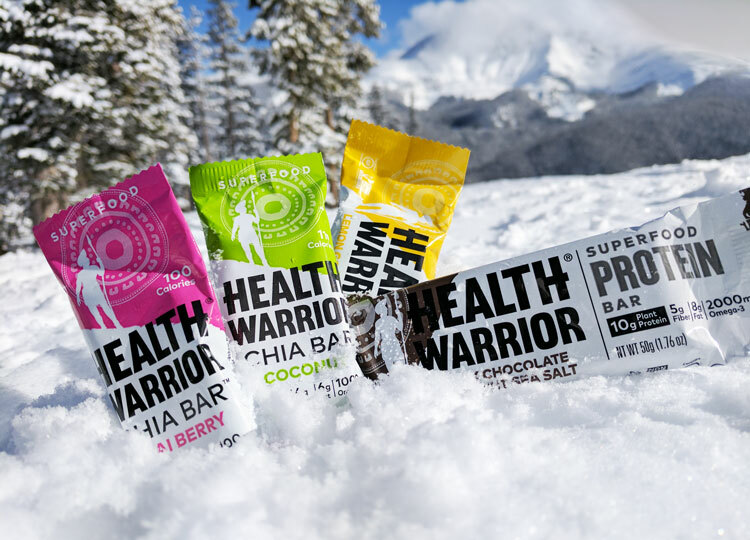 Health Warrior also has a Superfood Protein Bar in flavors like: Dark Chocolate Coconut Sea Salt, Honey Almond, Lemon Goldenberry, and Peanut Butter Cacao. They are fantastic. In fact, I made a list of 5 reasons why I love Health Warrior! Top Reasons I Love Health Warrior! Although these are just my top five, I also have other reasons too. I like their logo. I like that they are easy to buy in natural grocery stores and on Amazon. I like that they have a variety of flavors! Chia seeds are the main ingredient. And they are super good for you! This little tiny seed is packed with superfood powers! Did you know that chia is loaded with fiber, omega-3, protein, antioxidants, magnesium and calcium? They are nutrient dense and super healthy! Overall, chia seeds are amazing but they WILL get in your teeth! I am not a big calorie counter, but it is good to be aware of them so you are not over doing it! I like that these bars are not huge and full of unnecessary calories. Even though they are fairly small compared to other health bars – they are packed with chia – so they will fill you up! No artificial sugars or sweeteners! These chia bars have agave to sweeten them up. The acai berry flavor has only 5 grams of suagr. The coconut flavor has only 4 grams of sugar. These bars fit a variety of special diets. They are soy free, dairy free, gluten free and vegan! Since so many people are avoiding gluten, dairy and soy now – these are great bars for them! They are whole-30ish and paleo-ish too. Out of all the flavors they have, I have only tried four flavors. They are all so good – and now I am eager to try the rest! If I was going to rank the four that I tried, I would say 1. Acai Berry 2. Dark Chocolate Coconut Sea Salt 3. Coconut 4. Lemon Goldenberry – They are ALL really, really tasty! I brought a few of these bars up skiing with me and shared them with strangers I rode the ski lift with! When I mentioned these chia bars people got really excited about them! A few people knew what I was talking about, but most had no idea what these were! Nobody denied me though! I chatted with all my new ski friends about the benefits of chia and where you can find them on the front range. We even laughed about how they gel in your teeth but it is kind of a nice surprise. It was something to look forward to when we got off the lift and skied down the hill! Overall, everyone that tried them LOVED them! That’s why I didn’t mind sharing them! Whether you are a skier, runner, hiker or biker. These protein bars are wonderful for before or after working out. They are a healthy choice if you are looking for a snack bar that isn’t full or sugar and calories and will leave you satisfied. They get an A+ from me! Connect with Health Warrior on their website, Facebook, Twitter, and Instagram. 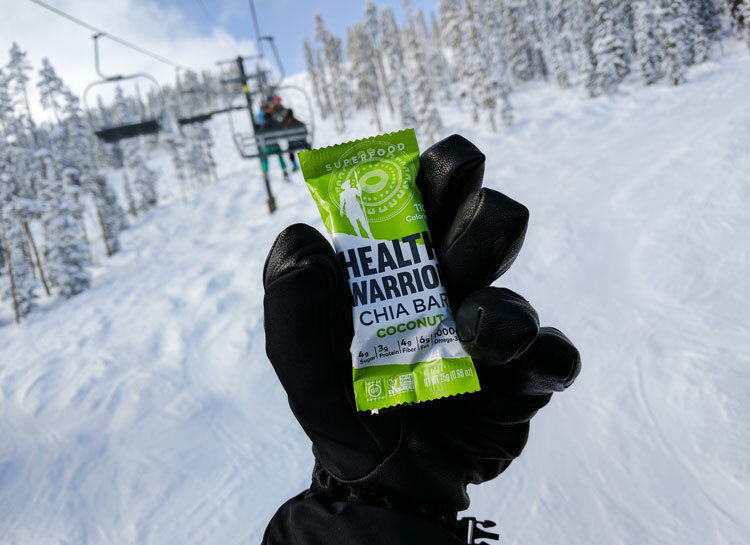 Have you tried Health Warrior Chia Bars? I have tried their protein bars in the past and loved them! I’ll definitely have to try their other flavors like Apple Cinnamon and Mango, though. I haven’t tried these bars yet. I’ve been wanting to try chia seeds though and I surely didn’t know they have it in bars as well. Gong to check this out! I’ve not tried these, but we are looking for ways to replace the sweet tooth cravings with something a little more sane and thesee get a lot of other health benefits as well. In the summer I’m out and about more with the kids and always looking for great tasting protein bars. I’ll have to pick some of these up. I’ve never heard of these before. I would definitely be interested in checking them out sometime. These protein bars are great essentials during backpacking, trekking, and mountain climbing. I love that there’s only 100 calories in every pack.